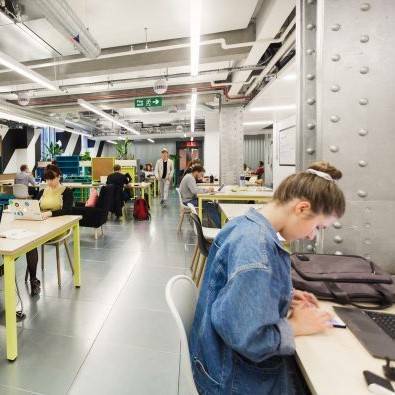 Serviced and coworking office space providers have accounted for the largest share of space leased in Central London for the first time, according to new research from Cushman & Wakefield. 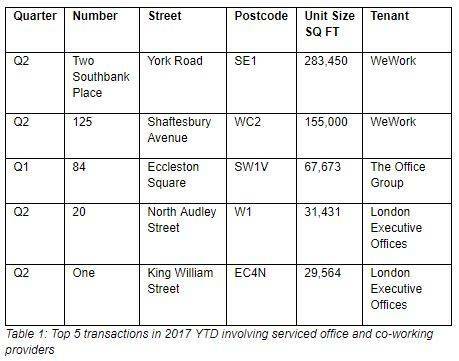 During the first half of 2017, serviced office or co-working providers – such as WeWork and The Office Group – accounted for 884,235 sq ft of newly-leased office space in central London. The second quarter of the year in particular witnessed a dramatic escalation in activity by serviced office and co-working providers with 651,540 sq ft leased – around a quarter of central London’s take-up across April, May and June. This was more than London’s traditionally dominant occupational sub-sectors such as technology, media and financial services. The H1 2017 total is more than serviced office and coworking providers accounted for in the whole of 2016 (853,178 sq ft). and is just a deal or two shy of the sector’s average annual take-up between 2012 and 2016 (908,972). It seems certain therefore that serviced office and co-working providers will this year surpass their record annual volume of 1,267,926 sq ft set in 2014, according to the firm. In total, 4.8 million sq ft was let in Central London during the first half of the year – up 10 percent on the same period in 2016.